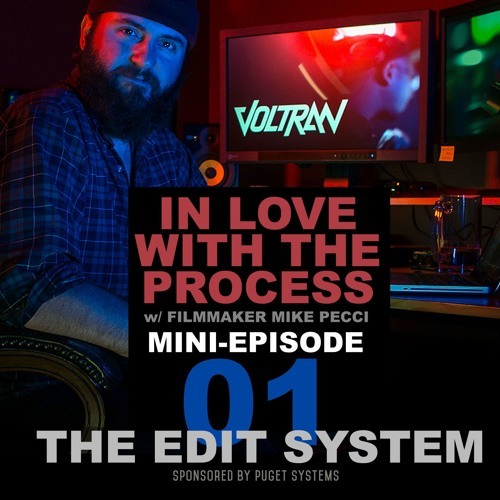 In this episode, director Mike Pecci talks about why he teamed up with Pugetsystems.com to build a powerful 4k PC Edit System. He talks about the many concerns editors have when making the jump from MAC to PC, and walks you through the options that have enabled him to build a bigger, faster and more affordable edit system. Build your own edit machine at https://www.pugetsystems.com/solutions/content_creation/post.php?utm_source=Soundcloud&utm_campaign=in_love_with_the_process The equipment we use is a tool that should bend and shape to your needs as an artist. The Mini-Episodes of In Love with the Process explore the different tools and techniques we use and why.